Donita Volkwijn has been seen recently in major European cities performing the role of Bess for a touring production of Gershwin’s PORGY AND BESS. The role has lead to two important company debuts; Seattle Opera in 2011 and Tulsa Opera in 2007. She also performed the role of Micaela CARMEN with Tulsa Opera that year and again the following season with Hawaii Opera Theatre. No stranger to the music of Puccini, she has also performed Mimi LA BOHÈME with San Francisco Opera, Opera Memphis and DiCapo Opera Theatre, Anna LE VILLI with DiCaop Opera Theatre as well as her first Musetta LA BOHÈME with Tulsa Opera. Ms. Volkwijn took part in Mezzo Competition (sponsored by the French television station Mezzo) and as one of the winners, she was selected to sing the part of the Condemned Female in David Alagna’s LE DERNIER JOUR D’UN CONDAMNE which was performed in Debrecen and Szeged, Hungary. Last season Ms. Volkwijn sang Perneatha in the workshop of THE LONG WALK with American Lyric Theater. In Autumn 2014 Ms. Volkwijn sang PORGY & BESS in concert with the Belgrade Philharmonic. During her 2006-2007 season Ms. Volkwijn made her Syracuse Opera debut as Micaela CARMEN. In the summer of 2006, she debuted with the Bellingham Music Festival in Washington singing the role of Susanna LE NOZZE DI FIGARO. Prior to that engagement, Ms. Volkwijn returned to the San Francisco Opera as Frasquita CARMEN and made her debut with Opera Pacific as Sister Rose DEAD MAN WALKING, a role she repeated at Michigan Opera Theatre in spring 2003 and with Pittsburgh Opera in spring 2004. The year prior she made her London debut at the Barbican Center in Philip Glass’s opera GALILEO GALILEI. As an Adler Fellow at the San Francisco Opera, Donita Volkwijn appeared in San Francisco’s 2000-2001 season as Pamina DIE ZAUBERFLÖTE, Giannetta L’ELISIR D’AMORE and as Mrs. Charlton in the world premiere of DEAD MAN WALKING. 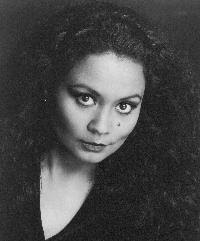 In season 1999-2000 Ms. Volkwijn appeared as Mimi LA BOHÈME, Irma LOUISE, Anna NABUCCO and as a Flower Maiden PARSIFAL. She also covered major roles such as Anne Trulove THE RAKE’S PROGRESS and the title role SEMELE with San Francisco Opera. In 2000, Ms. Volkwijn made her professional American recital debut as part of San Francisco Opera Center’s Schwabacher Debut Recital series. Other Opera Center credits include Fiordiligi in the 1999 showcase production of COSÌ FAN TUTTE and Pamina in the 1998 Merola Opera Program staging of DIE ZAUBERFLÖTE. A finalist in the 2005, 2001 and 2000 MacAllister Awards Competition, Ms. Volkwijn received the Glynn Ross Award. She was a regional finalist in the 2000 Metropolitan Opera National Council Auditions and a national winner of the 1995 Leontyne Price Vocal Arts Competition. Ms. Volkwijn has been an apprentice with the Ezio Pinza Council for American Singers of Opera and Lyric Opera Cleveland, where she appeared as Frasquita CARMEN. A native of Cape Town, South Africa, Donita Volkwijn earned her Bachelor of Music degree in vocal performance from Oberlin College-Conservatory and her Master of Music degree from the Cleveland Institute of Music. In 1999 she made her European debut in Amsterdam with concert performances at the International Opera Center of the Netherlands. Now an American citizen, Ms. Volkwijn lives in New York.